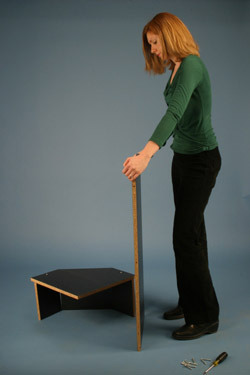 Easy to do, but takes several minutes to construct, and an assistant for shorter assembly time. 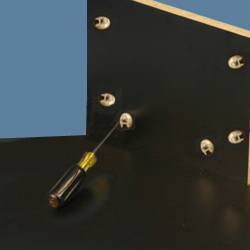 Turn the cams clockwise to tighten and lock them into place. 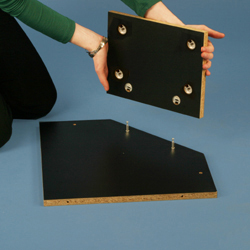 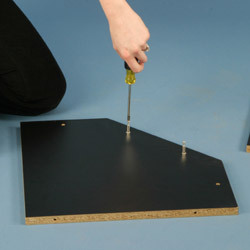 Attach side panel to base using 3 screws. 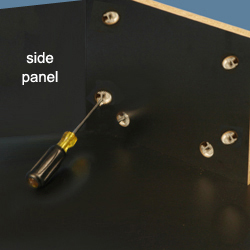 Attach side panel to base and other side panel using 6 screws. 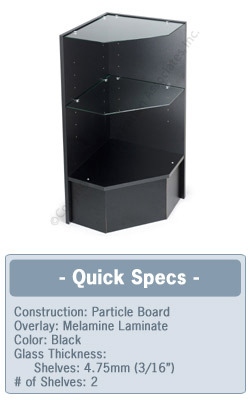 Position the shelves as needed.